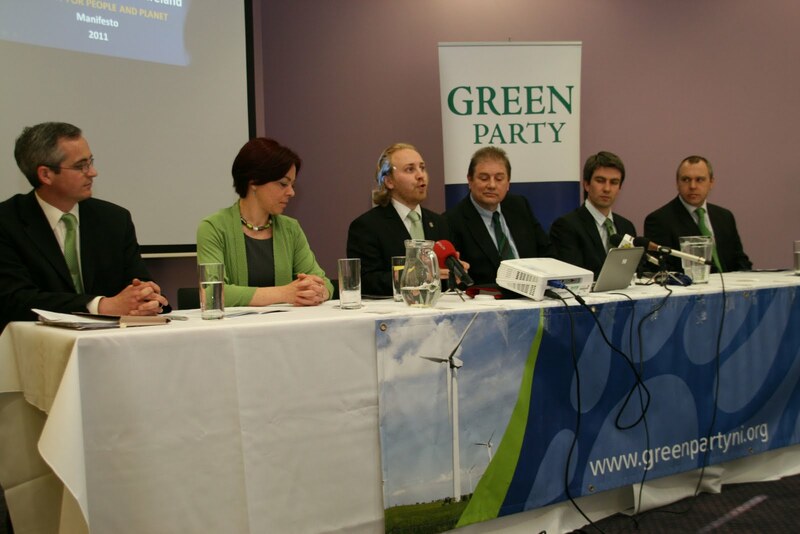 The Green Party in Northern Ireland today launched its manifesto ahead of next month’s Assembly and Council elections. The party is fielding 22 candidates in total, including six Assembly candidates, in North Down, South Down, East Belfast, South Belfast, Lagan Valley and East Antrim. The key message in the campaign is ‘Economy for People and Planet’ which encompasses the party’s desire to champion policies which are benchmarked against those three key areas. Green Party Leader and North Down Assembly candidate Steven Agnew said: “Resources are stretched and we have to prioritise spending on areas that meet a number of policy objectives. “There is no sense in squandering money on projects that may be good economically but environmentally damaging or pushing environmental policies that are not good for people. The Green Party benchmarks all its policies on whether they are good for the economy, good for people and good for the environment. 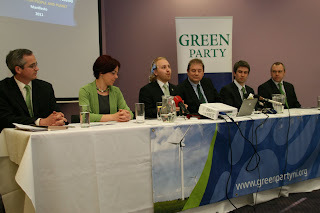 “In the last Assembly with one MLA the Green Party was able to get cross-party support for the ambitious Green New Deal programme. If fully implemented the Green New Deal will provide thousands of jobs while helping to tackle fuel poverty and combat climate change. “It is essential that there is a Green Party presence in the next Assembly to ensure the vision of the Green New Deal is realised. “The Green Party did not support the cuts budget as it will see our public sector decimated and result in massive job losses across the public sector. “We will continue to defend vital public services and oppose plans to increase fees for students that would see our young people burdened with crippling debt – an unacceptable price for university education which benefits our whole society. In the manifesto, the Green Party in Northern Ireland is focusing on the grass-roots issues that are currently dominating the political agenda, outlining strategies for the economy, health, education, transport, food and agriculture and political reform as well as environmental concerns. “The Green Party enters these elections in better shape than ever having matured and developed with experience in the Assembly. Our European election result showed our vote had trebled in the space of five years. In these elections we are looking to translate that growth of support into seats in the Assembly and in local councils,” continued Mr Agnew. “We have young candidates that can bring a breath of fresh air to Northern Ireland politics and the experience and expertise of Green Parties across the globe to draw upon.